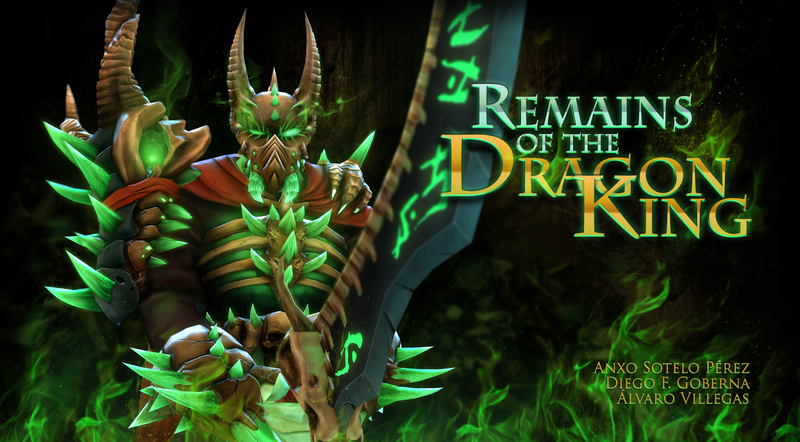 After a lot of effort working on it, finally we have published our first set for Dota 2. This items were made for Wraith King. Help us to get the set approved in Steam and vote for it! To vote, you must click on the link, register on Steam, and give a "yes" in each piece. You can also mark each piece as favorite! Special thanks to my friends Diego F. Goberna (concept art) and Álvaro Villegas (rigg) for colaborate with me. It was wonderfull! See more on my portfolio.